When I first started out as a wedding photographer, I remember perusing my favorite photographers portfolios and wondering how they got to shoot so many incredible couples, beautiful weddings, and amazing locations. I longed for my business to get to a point where my portfolio was filled with my ideal weddings at my dream venues. I wondered for a long time how to photograph weddings like those. I decided right then and there that I wasn't going to wait for those weddings to come to me. If there's one thing you should know about being in this industry, it's that you have to make things happen. Sitting back and waiting for those weddings to come to me wasn't an option, so I decided to plan a styled shoot. At the time, I was in the process of moving to Tampa from Nashville, and I knew moving to a new state would prove as an additional challenge, so I started reaching out to vendors very early in the process, introducing myself and letting them know that I would be coming to Florida soon and would love to meet and collaborate on some projects. By the time June rolled around, I already had a handful of vendors on board, and we started discussing our shoot! Styled shoots can be so beneficial for everyone involved, as long as they are planned properly. It's a great way for you as a photographer to express your creativity, bring a concept to life, or work on your technical skills. Everyone donates their time, talent, and materials, and in return, we as photographers give them some amazing images for their portfolio, as well as being able to add them to our own portfolios. It's also a really great way to network with other professionals in the industry. I love styled shoots because it gives me an opportunity to work with so many different vendors that I can refer to my couples with authenticity and confidence. Being able to say that I have worked with those vendors helps tremendously! As you guys know, I have a passion for teaching, so the purpose of this post is to share my experience in putting together a styled wedding shoot and answering some of your questions. I hope this post can inspire at least one person to reach out and bring their creative ideas to life! Step 1: Decide on a concept or theme for your styled shoot. So, it all starts with an idea. If you're anything like me, those ideas come to you in the middle of the night when you're trying your hardest to sleep and your brain just won't let you. I keep a small notebook and pen in my nightstand drawer for all those brilliant middle-of-the-night ideas, and I write them down so that I can remember them in the morning. I've even been known to doodle my ideas if I have a specific image that comes to mind. Sometimes, these ideas sit for a while, and other times, the shoot comes to life quickly. It all depends on the season, how busy I am with weddings, and what vendors I have on board. It's also important to keep in mind if your styled shoot has a seasonal theme, especially if you want to get your shoot published. A winter theme won't have as much relevance if it's ready to be submitted in the spring, so plan accordingly! The other thing to keep in mind when coming up with your concept is your ideal client. Ultimately, you want your styled shoot to attract the weddings you want to shoot, which means appealing to your target audience and creating a styled shoot that mirrors your dream weddings. For me, I like whimsical outdoor weddings with lots of details, natural light, and soft colors, so I try to keep those things in mind when coming up with a concept. Remember, your concept doesn't necessarily have to be a theme! It can be based off something as simple as a color or mood, style, location, or even a word! Get creative, and think outside the box! Pinterest is a great tool for brainstorming. Don't be afraid to create a mood board based off your ideas! This is super helpful in sharing your ideas with the rest of the vendors involved once the planning process begins. And remember, you're all working together, so be sure to allow your other vendors some creative freedom in the process! After all, you're working with them because you like their work and you trust them! Step 2: Have a goal in mind. What is it that you wish to accomplish with your styled shoot? Do you just want to add some new images to your portfolio to showcase the kinds of weddings you want to photograph? 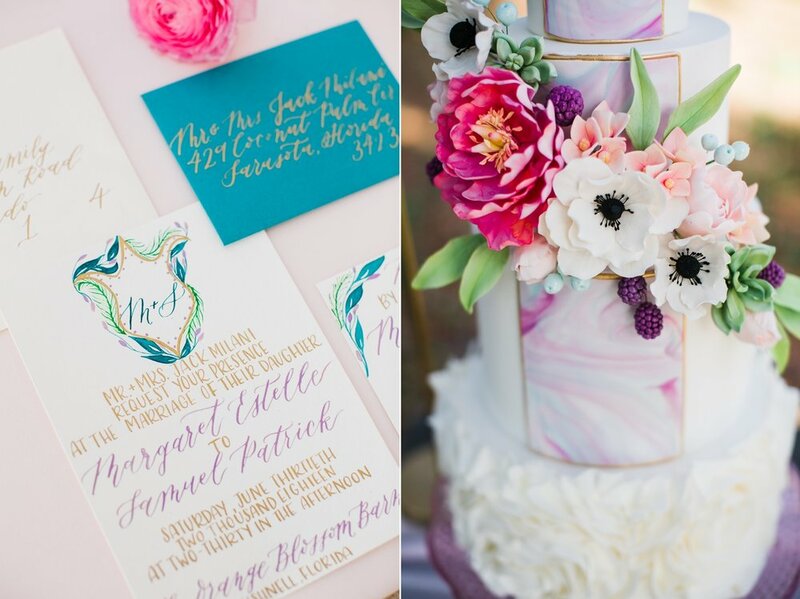 Do you want to get your styled shoot published on a wedding blog? Do you want to network with local vendors and get your name out there? Do you want to see an idea that you have come to life? Your end goal will help guide the rest of your shoot, so it's important to figure out what you want out of it. Step 3: Figure out how involved you want to be. There are two major levels of involvement when it comes to styled shoots, and it can honestly vary from shoot to shoot. Do you want to plan and execute the entire shoot, or are you more interested in having a planner bring your idea to life while you just concentrate on the photography aspect? Planning and executing your own shoot can be incredibly time-consuming, but the benefit is that you have complete control over the end result, and you can be sure that your vision comes to life exactly the way you imagined. It allows for a lot more creative freedom, but it does entail a lot more work. Step 4: Reach out to vendors. The vendors you need will ultimately depend on the styled shoot itself and how complex you plan on making it. The more vendors you involve, the more room you have to be creative, and the more reach you'll have in your local community! Do your research when reaching out to vendors and make sure that your styles correlate! This will help tremendously in the long run. Like I mentioned at the beginning of this post, one of my favorite things about styled shoots is collaborating with vendors and being able to then refer them to my clients, so it's important to make sure your target audience is the same. It's important to provide as many details as possible when reaching out to your vendors. If you plan on working with a wedding venue, you'll need to make sure they have a date available first. Prepare to execute your styled shoot during the week, especially if you plan to do it during wedding season, as weekends are usually reserved for weddings. Be as specific as possible when reaching out to your vendors. Introduce yourself, send them a link to your work, give them details about the concept or theme, share your mood board with them, and explain to them what your goal is with the shoot! Let them know what other vendors you have on board already, and ask them if they have any other ideas or questions. Once you have your vendors lined up, be sure to keep them involved throughout the planning process and confirm details such as date, time, location, and what they will be providing. It never hurts to be too thorough in this case! It's never a bad idea to provide your contact number as well as getting your vendors contact number. I take it one step further with my styled shoots and I provide a timeline for the day, which includes the venue location and address, contact information for each vendor, and what time each vendor should arrive. I always allow for ample time to set up, because having more time to shoot is never a problem! Step 5: Start collecting details. If you are taking on the role of photographer and planner, it might be a good idea to start collecting any little details you need to bring your shoot to life, or coordinate with your vendors to see who can provide what. For one styled shoot, I took on the responsibility of planning the entire shoot, and I was responsible for everything on the tables except for the tableware. I spent weeks searching high and low on Amazon and Etsy, shopping at Target, and even perusing thrift stores for all the bits and pieces to bring the shoot to life. Be sure and keep any receipts for things you purchase, as some items can be returned after the shoot if they don't get used! Another thing is to consider purchasing a styling board for your details! Heirloom Bindery sells these beautiful styling boards, or you can create your own like I did using canvas boards and fabric. It gives you an opportunity to create some really cohesive styled detail photos! I love using these boards to style my invitation suites, and if you can get your hands on your paper goods prior to the styled shoot, you'll have ample time to create some really cool images with them. Of course, if you're working with a stylist, they can take care of this on the day of, but having a variety of images never hurts. Step 6: Put together a shot list. I know that for most of us wedding photographers, it feels faux pas to work off a shot list. We educate our clients on a regular basis about how suffocating it is to work off of a shot list. For a styled shoot, however, I think it can definitely be helpful! The benefit to a styled shoot is that you have so much extra time to get creative, but there are so many pieces involved! It's easy to get caught up in it all, so creating a small shot list so you don't forget anything is key. It doesn't have to be a very thorough list, but it can be helpful to jot down some of your ideas! This one seems pretty obvious, but it's the most exciting part of the whole process! Seeing everything come together on the day of the styled shoot is so exciting! Be sure to arrive to the venue on time, and introduce yourself to each of the vendors involved! Have fun! Be sure to get lots of photos of every element for your vendors! This is SO important! Everyone has donated a lot of time and effort for this shoot, and the end product is ultimately your photographs! Get as may different angles and focal lengths as possible! Variety is never a bad thing. 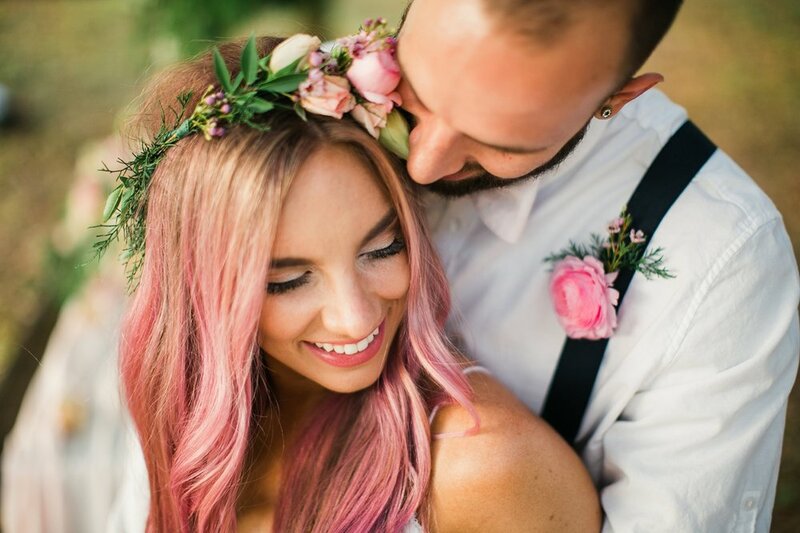 Once you've culled and edited your images from the styled shoot, it's time to show them to the world! Obviously, if you're going to submit your styled shoot for publication, it's important to try and keep the images off social media. Do your research and see which publications require exclusivity and which one's are okay with images being shared on social media before releasing them. Be clear and upfront with your vendors about your intentions with the images, and give them a timeline of when they can expect the images. I typically share 1-2 images from the shoot on social media, as most blogs that I submit to are okay with that, but be sure to clarify with the blogs you plan to submit to so you don't lessen your chances of being published. 7. Submit your styled shoot! Getting your styled shoot published on a wedding blog is an excellent way to share your work, along with all the wonderful vendors you worked with, with tons of potential clients and other wedding industry professionals. Be mindful of which blogs require exclusivity, and don't get discouraged if your shoot isn't chosen to be published. Choose a blog who's style and aesthetic aligns with your own, and keep in mind the submission process is different for every blog! You may have to spend some extra time resizing images, writing descriptions, linking vendors, and reading about their submission guidelines. Submitting images for publication can be tedious, but it's worth it in the long run!